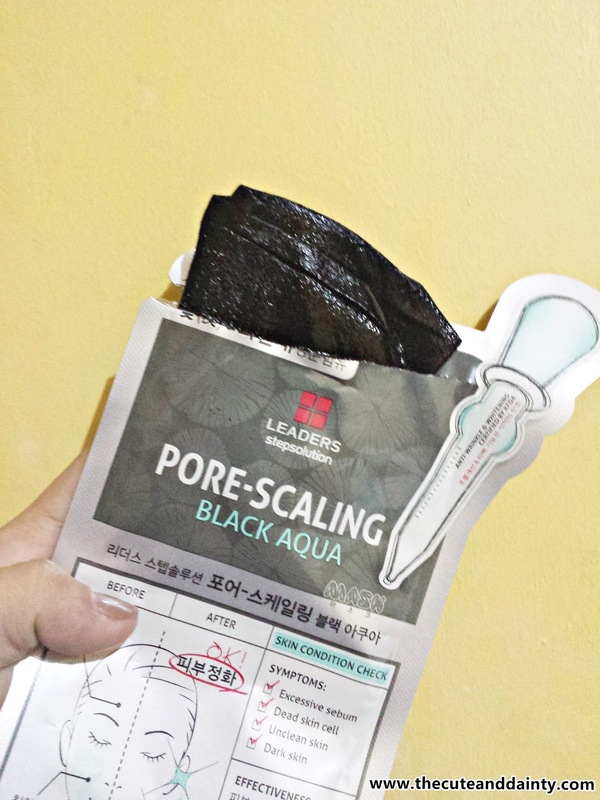 It's been a while since I last posted a beauty product review. I've delayed using products because I've been through with pregnancy. You know how first time moms become so paranoid on using just any products, what more if it's something to be used on the skin. The first few weeks of my breastfeeding also made me so careful on what to put on my skin for fear that it might cause harm on my baby. Plus the first few months of being a mommy was such a new thing to me. I've experienced PPD (post-partum depression) and I've been so busy and all that I've delayed beauty-related reviews. Food was my best friend pre and post pregnancy. Especially when I was breastfeeding, I always felt hungry. Thus the reason why majority of my post lately are food-related. Eventually, after all the adjustments I had on each stage, I finally got back on using beauty products and I now know what to avoid and what's okay to use. So here I am again, ready to start anew. I still have a lot of beauty products waiting to be reviewed. Some of them are masks. I have a lot of face masks on my cabinet. A LOT!!! I am trying to do the 7-day challenge on the mask but whenever I'm close to the last day, I always skipped. It just can't be helped. When my baby cries and I have to directly feed him, I usually fell asleep beside him. I am just so tired everyday. 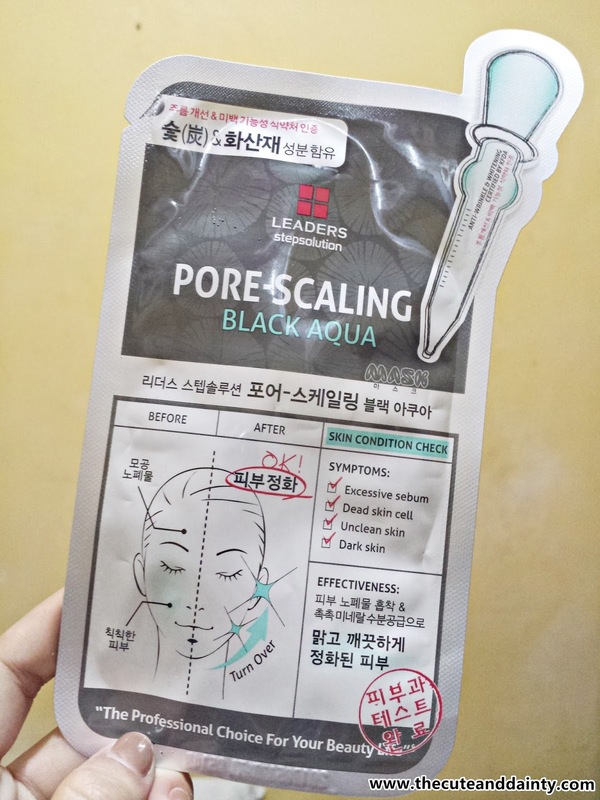 I am not sure if I can push it but anyway, I opened another mask the other night and it's one of what I bought from Zalora, the Leaders Pore Scaling Black Aqua. This is the first black mask that I used. The white sheet masks are what;s usually available in the market and that's what I always buy. Got this as part of my credit at Zalora. In short, it's FREE! Suitable for different types of skin. Brightens the skin after use. Would fit any face shape and size. 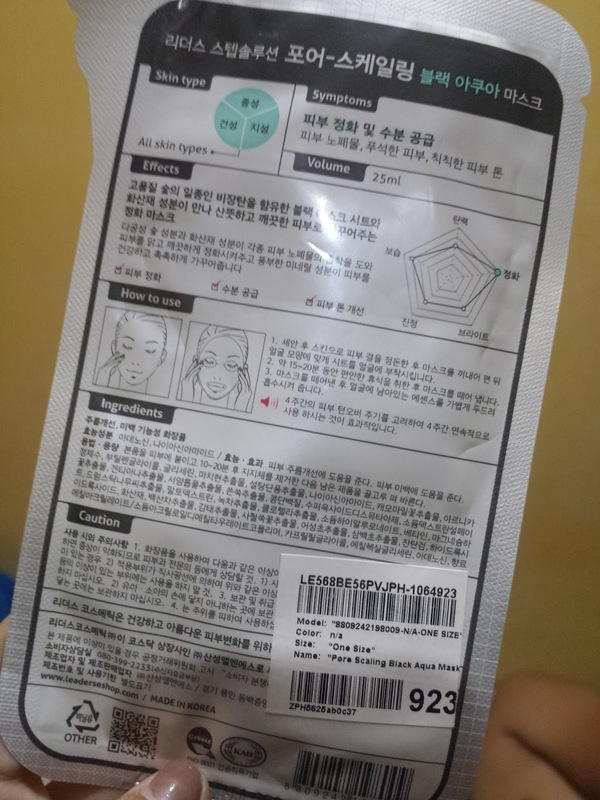 Leaders mask aren't available in local stores like Watsons or department stores. Still need to purchase online. No English translation. First time users might have a difficulty in knowing how to use it. Price: I forgot .SORRY! I bought it for a long time already but just used it recently. I like Leaders mask but for me, there's nothing very special with this one. I think it's just the ordinary type like any other mask.